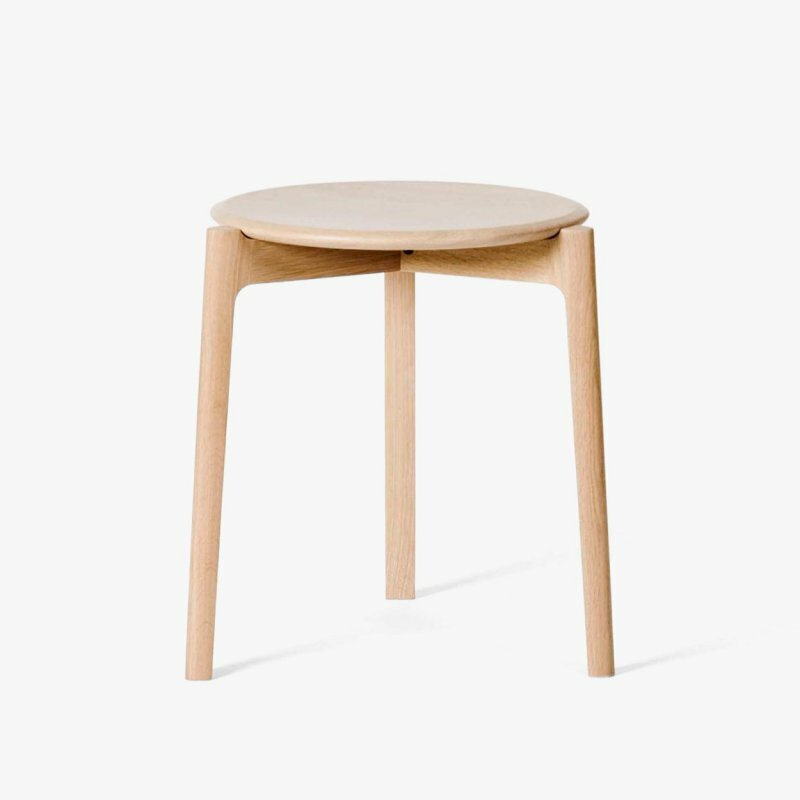 Norm NA3 is a minimal and timeless three legged stool designed by Norm Architects for &Tradition. 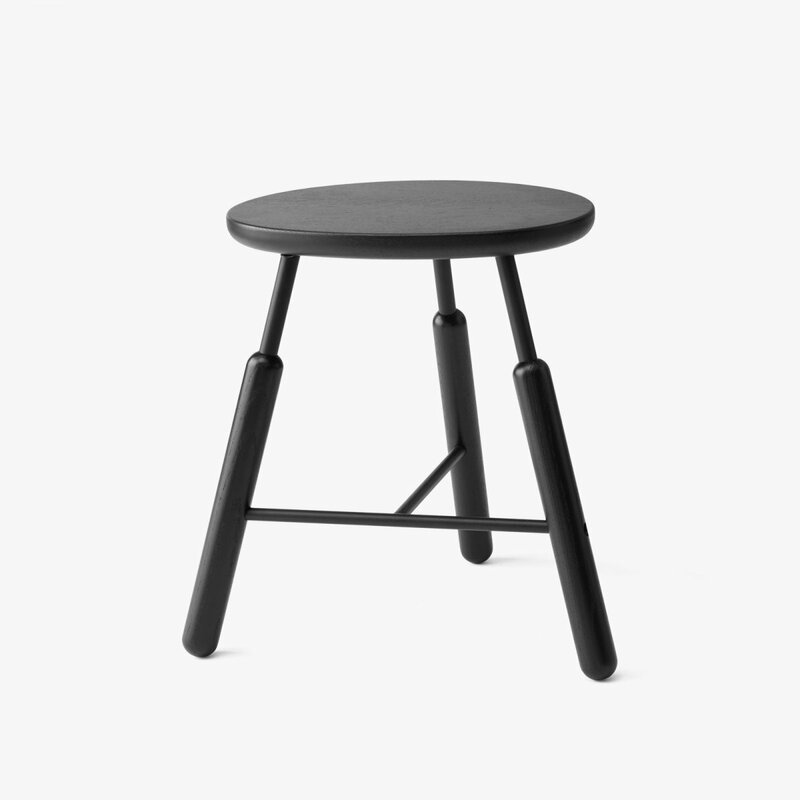 Contrast and cohesion remain the themes in this simple, archetypal design for any setting. 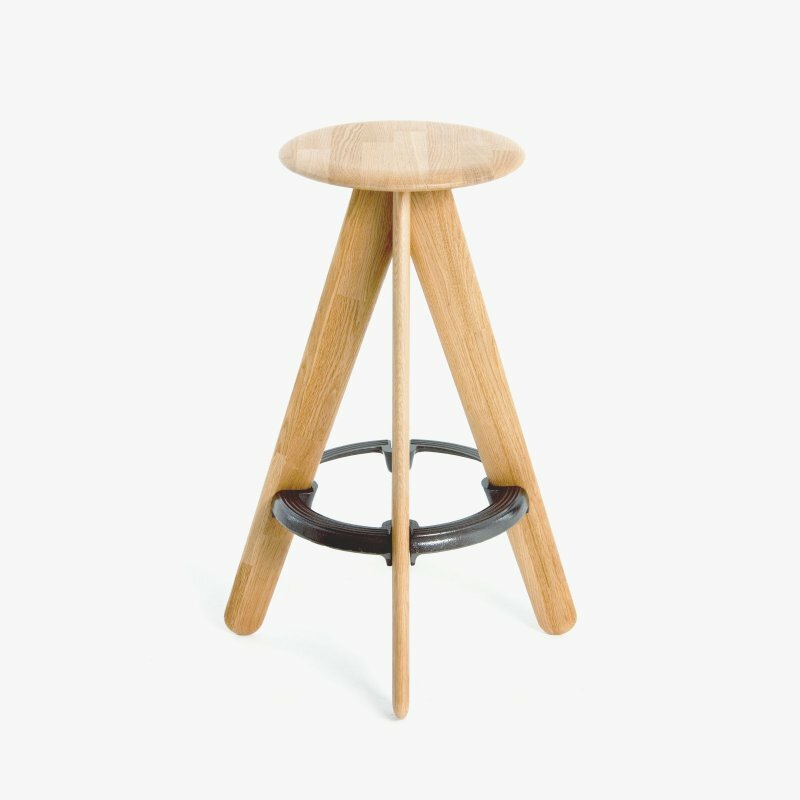 The stool features a brilliant contrast between the smooth surface of the black powder-coated steel legs vs. the structured surface of the smoked oak or black lacquered oak seats. 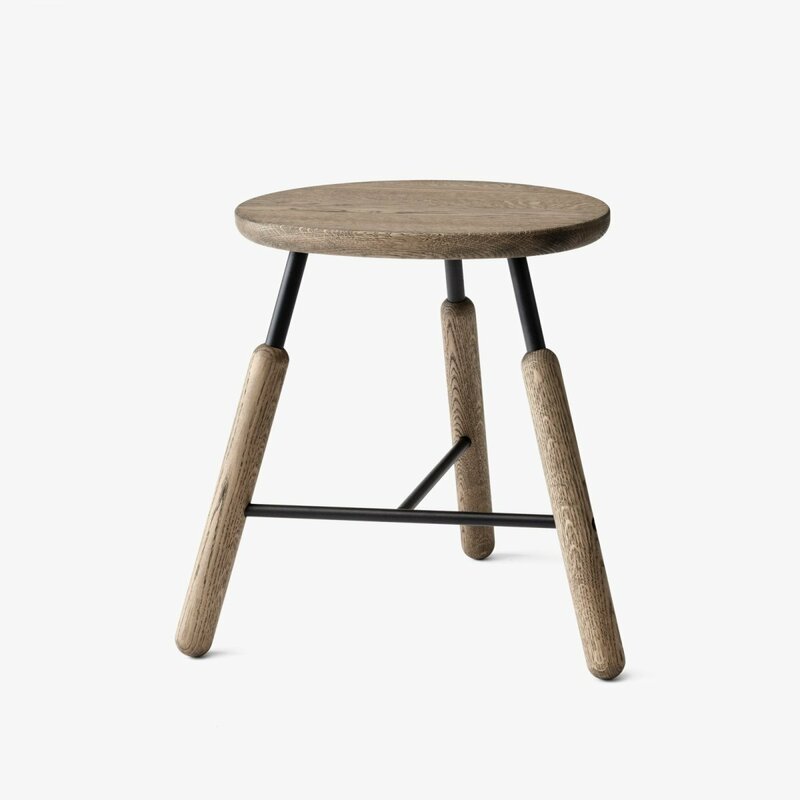 Norm Architects has taken a modern Scandinavian approach to create a unique piece of furniture with a playful appearance of a living creature in motion. 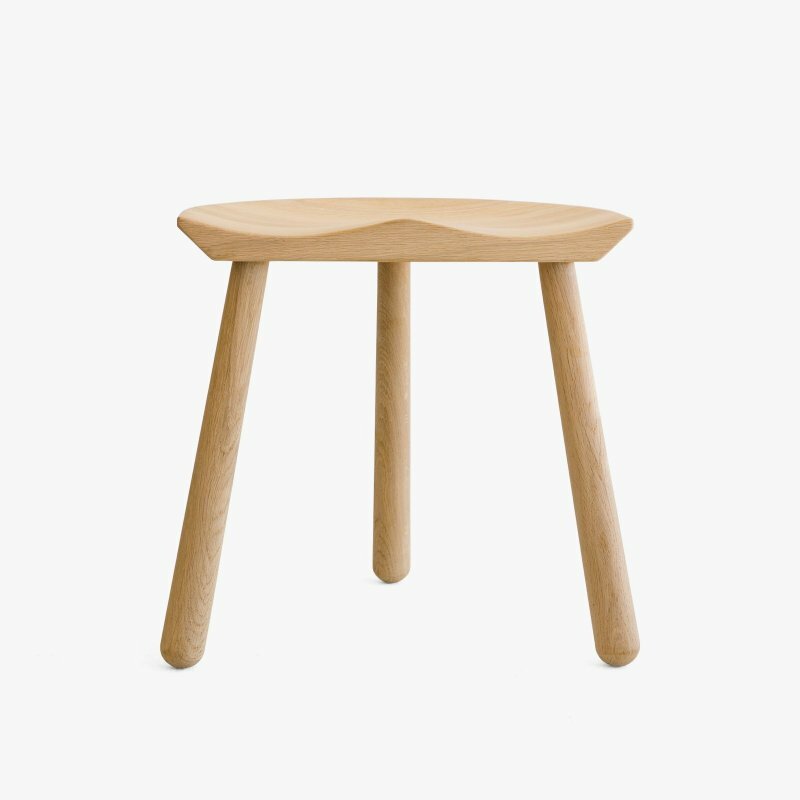 The flat seat also makes the stool equally useful as a side table. 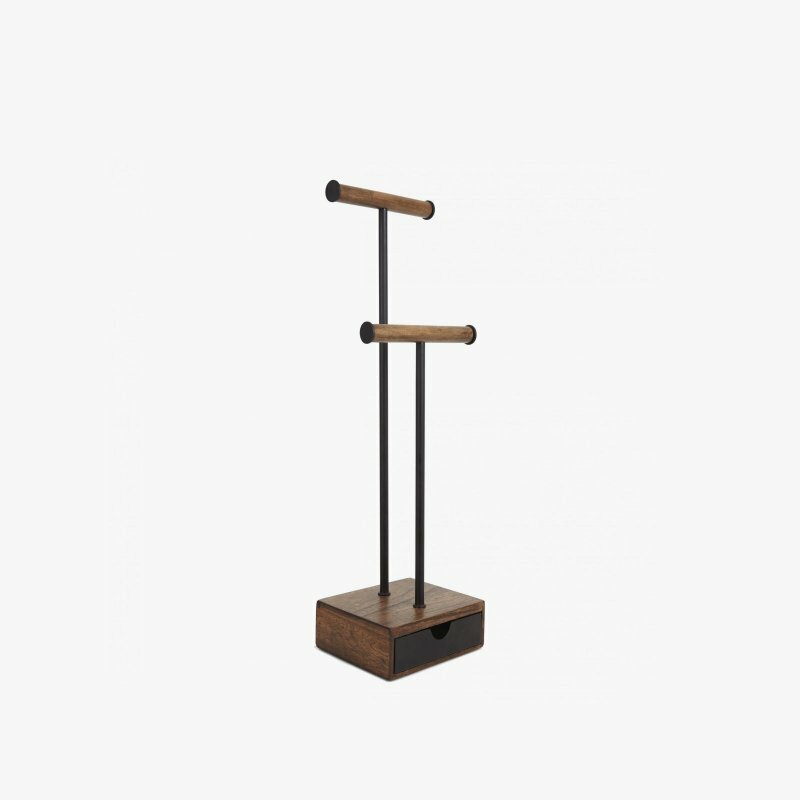 Be sure to zoom in on the subtle nuances in the tones and textures in this color palette for the material mix, as black has a beautiful way of subduing some details and defining others.